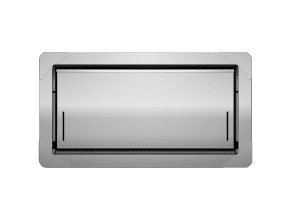 Central Florida Steel Buildings is an authorized dealer for Smart Vent Products, the worldwide leading manufacturer of foundation flood venting systems. 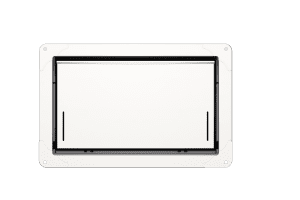 SMART VENT Flood Vents are Engineered Openings and are certified to meet all Building Codes, FEMA Regulations, and NFIP Flood Insurance Requirements. 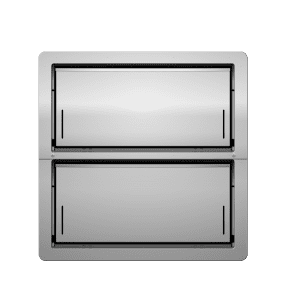 Founded in 2001, all products are made in the United States out of Marine Grade 316 Stainless Steel. 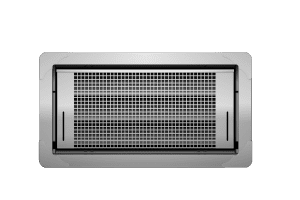 SMART VENT offers a full line of models to fit any application, residential or commercial. 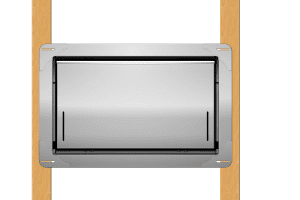 Models range from the Dual Function SMART VENT Series, offering flood protection and natural air ventilation, to the Insulated FLOOD VENT Series. 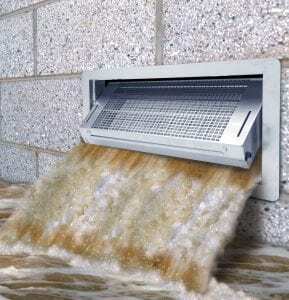 Flood Vents protect houses and buildings in floodplains by preventing hydrostatic pressure buildup that can destroy walls and foundations. This mitigation technique is referred to as Wet Floodproofing. The Dual-Function SMART VENT foundation models provides flood protection along with natural air ventilation. Louvers inside the vent door pivot open and closed with temperature. 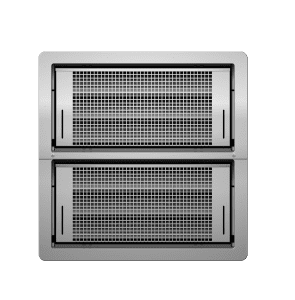 Fully open around 75 degrees F, and fully closed around 35 degrees F. Constructed of marine grade 316 stainless steel, and is 3-in. in depth. Powder coat paint options are available. 1540-510 model certified for 200 sq. ft. of flood protection per vent and is 16-in. x 8-in. 1540-511 model certified for 400 sq. ft. of flood protection per vent and is 16-in. x 16-in. 1540-0039 model certified for 800 sq. ft. of flood protection per vent and is 32.5-in. x 16-in. The Insulated FLOOD VENT foundation models seal out cool or warm air with a solid door and weather stripping. The 2-in. insulated core inside the vent door has an 8.34 R-value. Constructed of marine grade 316 stainless steel, and is 3-in. in depth. Powder coat paint options are available. 1540-520 model is certified for 200 sq. ft. of flood protection per vent and is 16-in. x 8-in. 1540-521 model is certified for 400 sq. ft. of flood protection per vent and is 16-in. x 16-in. 1540-0239 model is certified for 800 sq. ft. of flood protection per vent and is 32.5-in. x 16-in. 1540-524 model is certified for 200 sq. ft. of flood protection per vent and is 16-in. x 8-in. making it ideal to retrofit into an existing garage door. This model installs with supplied back plate and bolts. 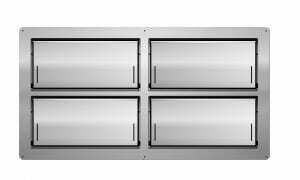 Comes standard in white powder-coated stainless steel. 1540-570 model is certified for 200 sq. ft. of flood protection per vent and is 14.5-in. x 8.5-in. It is designed to fit between wood studs on 16-in. centers. Available in Insulated-style only. Smart Vent Products, Inc. is the worldwide leading manufacturer of foundation flood venting systems and takes pride in having a FEMA-Accepted and ICC-ES Certified flood vent product line. Architects, Builders, Code Officials, Engineers, Homeowners, Insurance Agents, Realtors, and Surveyors are all turning to Smart Vent Foundation Flood Vents to protect homes from the devastation and destruction that floods can cause. 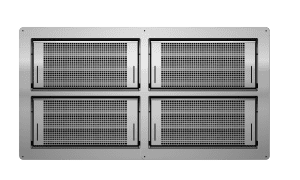 Smart Vent is providing over 80 million sq. ft. of certified flood protection around the world today.